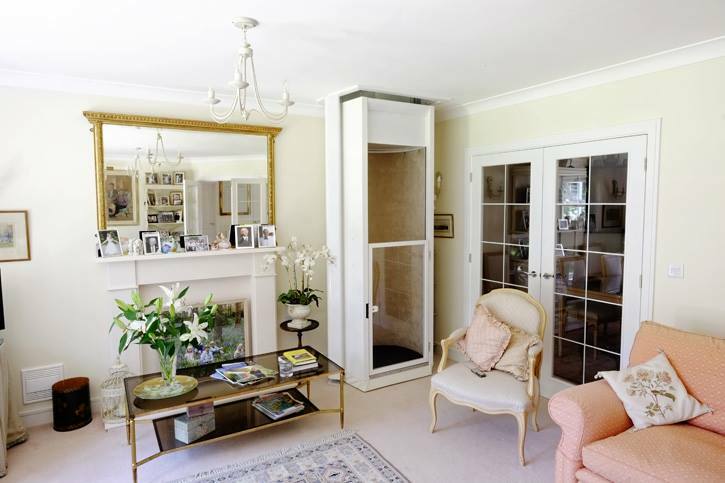 The Stiltz Home Lift was the first domestic lift of its kind to be available in the UK when it launched in 2010 and it has since become a popular choice for homeowners. It has become particularly in demand by residential developers, builders and architects who want to include a home lift in their designs and plans when they begin working on a particular project. A customer may have mobility issues, and a residential lift such as the Stiltz Lift is an ideal alternative to a stairlift, or the owners of a property may want to enhance their lifestyle by introducing a stylish product that offers a simpler, faster and more convenient way of getting between floors. The Stiltz Lift is also cost-effective, can add a value to a property and allows a customer to keep their stairs the way they have always been. Renovation projects can also prove costly and clients may wish to ‘future proof’ their homes by installing a home lift which means accessibility will not be a problem in later life. The Stiltz Lift holds a number of advantages over other home lifts on the market as they can be fitted almost anywhere in a house. The lift is very versatile and has an unrivalled ability to fit into spaces other lifts simply cannot. This is because there is no requirement for a lift shaft, or load bearing walls and it does not have to be fixed to the floor. Thanks to its innovative dual rail system, the Stiltz Lift is a totally self-supporting structure so no major structural alterations are needed. It does not use hydraulic equipment and is powered by an intelligent motor system that is very quiet and housed, out of sight, at the top of the lift which plugs straight into the wall using a normal 13-amp power socket. The Stiltz Lift, which starts at £11,950 + VAT (including all standard site preparation and installation) includes a remote control to call the lift from any floor and is useful for lifting heavy objects. It is compliant with all European standards and includes a battery back-up, full height light curtain, full or half height doors, obstruction sensors, optional seat and grab bar and the roof of the lift is covered with the original flooring so when the lift is downstairs it does not intrude upstairs. There is also a wheelchair lift model of the Stiltz Lift available. For more information about the Stiltz Lifts range, contact Stiltz Lifts on 0844 870 9087, email [email protected] or visit www.stiltz.co.uk – quoting Refurb and Developer Magazine.